Figure 6 of Sheets, Mol Vis 2010; 16:320-329. Figure 6. 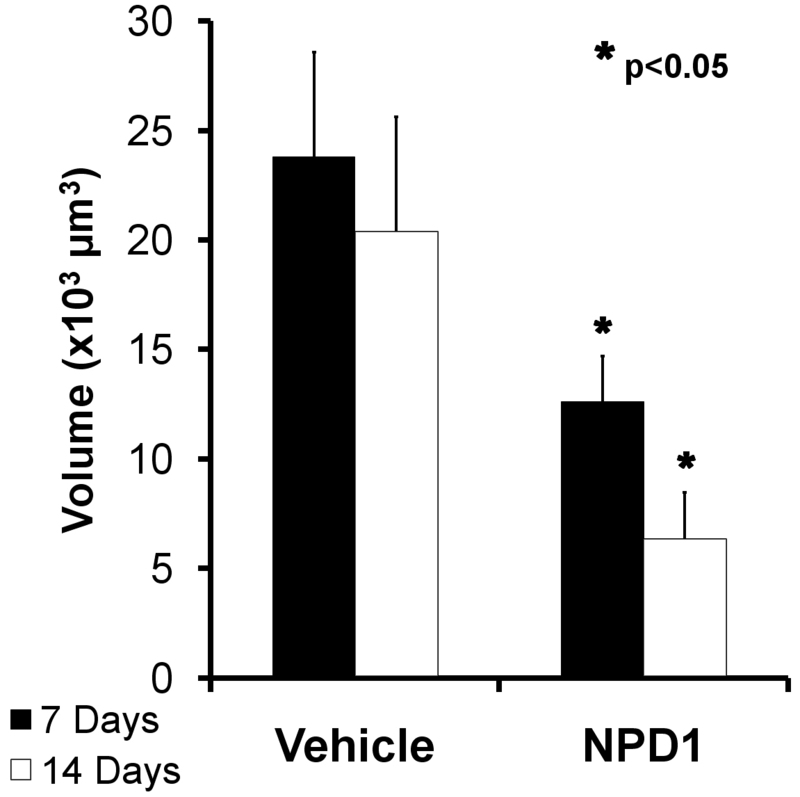 Comparison of endothelial cell volumes within laser-induced lesion sites in choroids of control and neuroprotecin D1 (NPD1)-treated mice. Image stacks were obtained through each laser lesion by confocal microscopy, and all voxels from the isolectin B4-labeled endothelial cell channel with intensities above threshold were summed for each layer. All layers throughout the stack were then summed to give the total number of endothelial cell voxels per lesion at 7 and 14 days following laser treatment. Volumes were calculated by multiplying the total number of voxels by the voxel dimension (0.45 µm×0.45 µm×0.45 µm). These volumes are represented by the black (control) and white (NPD1-treated) bars. Asterisks denote level of statistical significance as compared to vehicle (*p<0.05).